Continuing on my quest to put a few more pins on the map in the Valley, I met up with a few friends who were eating at Luigi's Pizza in Olyphant. Luigi's happens to be one of the more popular recommendations from readers, so I was pretty excited to give the pizza a try. I have to say, the place is pretty impressive with a great location, cool signeage, a spacious takeout area, nice clean dining room, and a full bar with a few TVs. It is really a nice place to sit and eat, and can cater to the lunch, dinner, or late night crowds. Talk about service, when I arrived my esteemed co-reviewer had the pizza ordered and delivered to the table just seconds before I walked in, so it was all business for me as soon as I sat down! 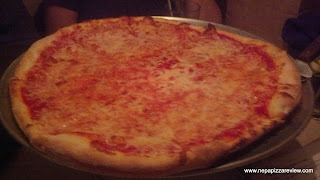 The pizza was piping hot and steaming, clearly a very nice New York Style pie which I couldn't wait to try. Upon first bite, the thing that really sets the tone for the pizza is the cheese, which is very flavorful, moist, and of a high quality. It's slightly salty and the pizza guy provided a fairly generous portion of it. You could tell this was good cheese because there were about 100 strands of stringy cheese hanging off both sides of the slices when we tried to pick them up, so I was a huge fan of this component. The crust was just incredible. It had amazing flavor, texture, bubble pattern, and was cooked to perfection. I don't believe Luigi's has wood fired ovens but I could detect a certain smokey flavor in the crust which was very nice. Whatever the source of this flavor, I appreciated it. 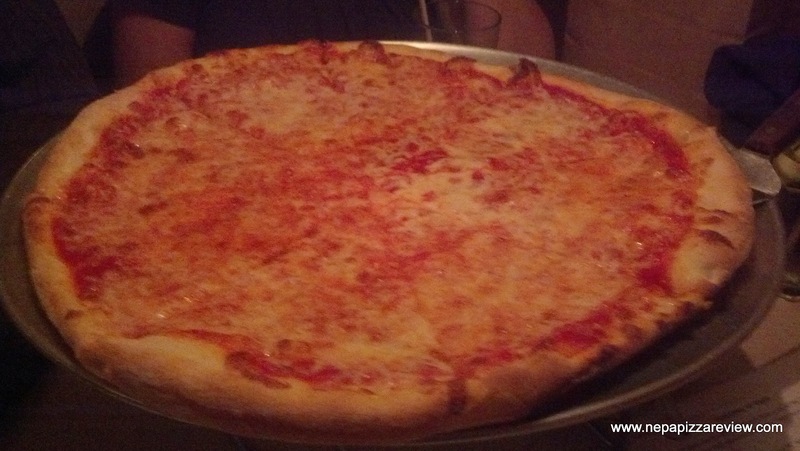 It was crispy around the edge and on the bottom, yet soft and foldable in the middle, which to me just defines what a NY style crust should be. This thin flavorful crust was a winner. With the cheese and crust being so good, the sauce really didn't have to accomplish much, but we thought the sauce was a bit flat and flavorless. It was good, and didn't need to have much flavor, but just a smidge more pizzazz in the sauce and this pizza could have been getting the highest marks from these pizza critics! Coincidentally, my partner in crime, who has had Luigi's a few times did say that this was not the best pizza she has had from Luigi's as it's typically a bit better. I can see where the pie could be better, but I was still very impressed with the one that was served on this night!